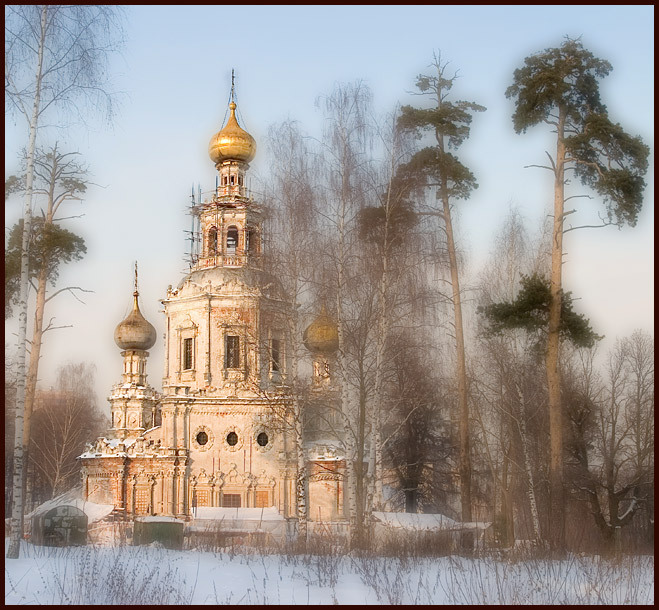 Restoration of a temple in Strogino. Beautiful view. Excellent soft light and tones. Красивая композиция и отлично свет подчеркнул храм!!! Чудесный свет! И вся работа - светлая! Отличная обработка! Wonderful composition with excellent soft effect!!!! Very beautiful softness, good light and colour, well composed winter view with architecture! wonderful view of the architecture, fine soft composition! Очень теплая и нежная работа, Алексей!!! Это не в Строгино, а в Троице-Лыково! beautiful effect on light and textures..